Featuring the acclaimed cuisine of chef Gaston Acurio, La Mar by Gaston Acurio offers diners the chance to explore the authentic and diverse flavors of Peruvian gastronomy. 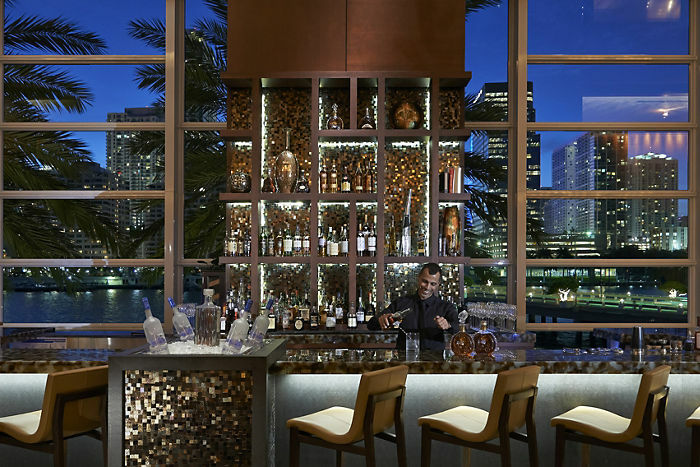 With an atmospheric setting overlooking Biscayne Bay and the Miami skyline, the restaurant’s contemporary design provides the perfect backdrop for La Mar’s signature cebiches, freshly grilled anticuchos and specialty cocktails. Offering a mix of indoor and outdoor seating with three lively bars providing distinctive culinary experiences the menu ranges from upscale novo-Andean fare to Asian-Peruvian fusion and traditional seafood cebiche. La Mar is now offering Sunday Brunch with a sumptuous Peruvian-inspired menu, refreshing cocktails and decadent desserts served at the water’s edge. La Mar by Gastón Acurio’s contemporary dining room and two sprawling terraces overlooking Biscayne Bay and the Miami skyline offer the perfect location for group dining, whether celebrating with family and friends or hosting a corporate event. La Mar’s dining room and terraces accommodate groups of 20-100 people. For larger parties, exclusive use of the restaurant space can be arranged. Guests can enjoy customized menus ranging from authentic passed hors d’oeuvres to a lavish sit-down dinner menu. Enjoying beautiful waterfront views, YAKU by La Mar is a chic outdoor bar and lounge from our award-winning restaurant La Mar by Gaston Acurio. Serving a selection of Peruvian-inspired punch cocktails, beers and wines alongside delicious small plates such as Cebiche Tostado (with tuna tartare, chipotle aioli, avocado and onion) and Los Choritos (mussels with caucau flavors), YAKU is the place to be Thursday – Saturday night. 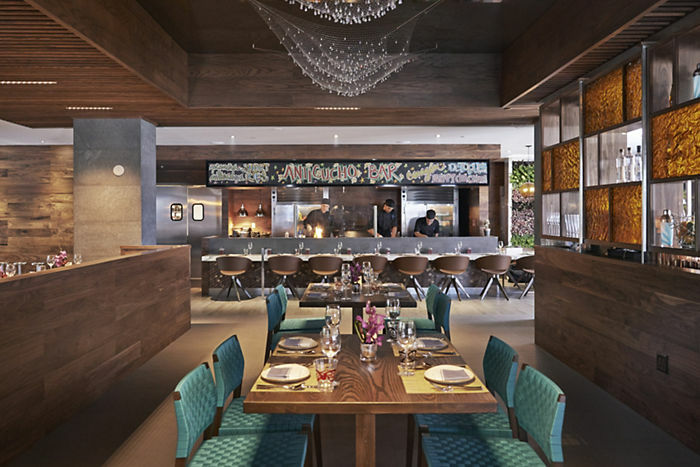 Conceptualized and designed by Executive Chef Diego Oka, the lounge is furnished with a selection of Peruvian-inspired textiles, sleek communal seating and bronze, terracotta and colorful accents. 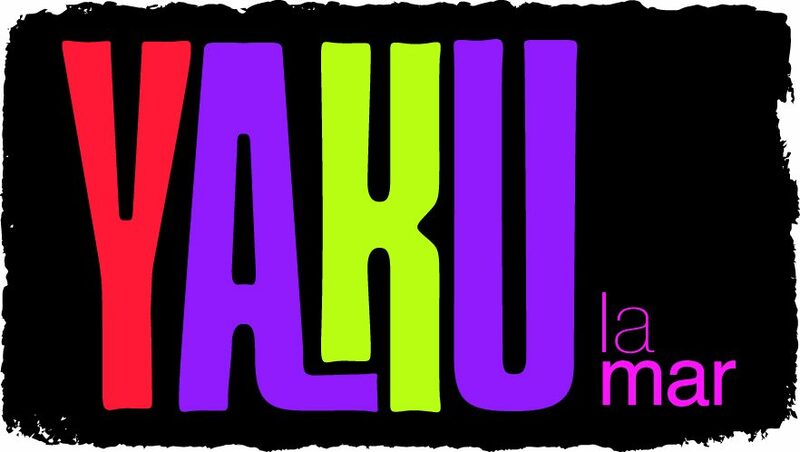 YAKU, meaning water in the ancient Inca language of Quechua, will also host resident and guests DJs to spin tunes and create the perfect soundtrack for your night. 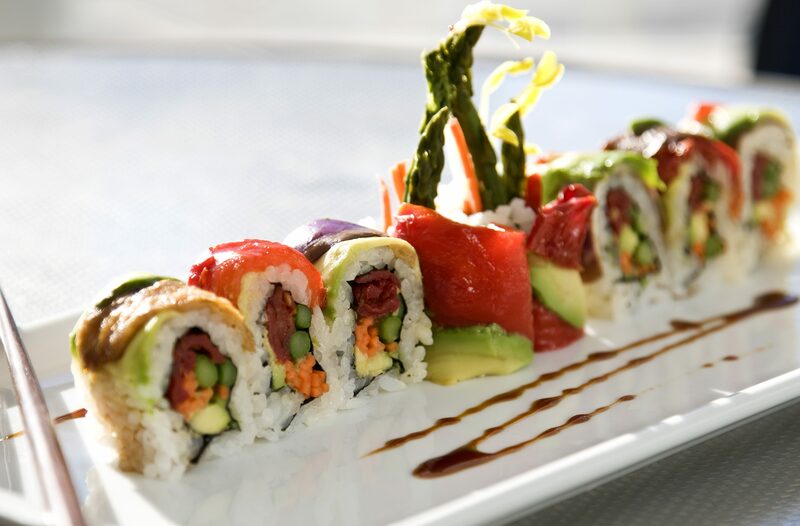 An intimate waterfront restaurant overlooking Biscayne Bay and the Miami skyline, Azul's modern American cuisine with Asian influences is as breathtaking as its beautiful views. A distinctive design provides the perfect backdrop for the exquisite cuisine with a white marble open-kitchen, floor-to-ceiling windows and dramatic wine cabinets. In addition we offer guests the chance to dine on our small outdoor terrace overlooking the bay. With more than 700 world-class wines encompassing a mix of new and classic vintages as well as a wide choice of premium spirits, Azul's bar is the perfect place for a pre- or post-dinner drink. 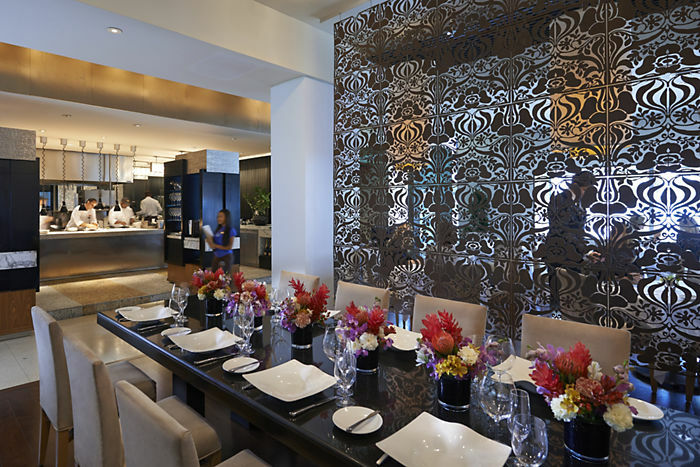 Azul offers semi-private dining on a raised section of the restaurant, facing Biscayne Bay and accommodating up to 40 people. For larger parties, Azul can seat up to 90 guests with exclusive use. Groups can enjoy a reception at Azul’s champagne bar with savory hors d’oeuvres, followed by a multi-course menu of exquisitely prepared cuisine. The new MO Bar + Lounge offers a superior cosmopolitan nightlife experience unique to the prestigious Brickell area of Miami. The chic new design showcases panoramic skyline and water views, complemented by elegant seating at a 14-seat formal bar and 76-seat lounge. Guests can enjoy an innovative selection of classic cocktails and modern mixology offered alongside a menu of light plates. On weeknights, a specially priced happy hour menu of handcrafted cocktails and wine provides an excellent option for pre-dinner drinks or relaxation after work. MO Bar + Lounge also hosts lively entertainment including Cuban jazz by Renoir Rodriguez and sultry Spanish guitar by the Fox Brothers on Thursday, Friday and Saturday nights. Programming also includes MO Bar Acoustic, a series of intimate, high-profile concerts offered in partnership with Warner Music Latina. The shows feature top Latin artists performing songs off their forthcoming albums as well as popular favorites. The exclusive performances are scheduled four times a year and have featured award-winning artists including Chilean rock band LA LEY and Spain’s Rosana. Inviting menus and stunning panoramic views set the scene for a memorable evening at MO Bar + Lounge. Our beautifully-designed spaces featuring stylish lounge furniture and a private white marble bar can easily be customised to accommodate up to 100 people. Featuring gourmet bites including sushi, artisanal cheeses and savoury sliders, our exquisite menu is paired with classic handmade cocktails to offer your guests a taste of something special. Located within our Oasis Beach Club, the Pool Café offers an exquisite menu of fresh cuisine including tropical snacks, freshly prepared sushi, gourmet salads and sandwiches, and refreshing cocktails paired with stunning bay and city views. Save room for a cooling frozen treat of Mochi ice cream, chilled pies or ice cream. 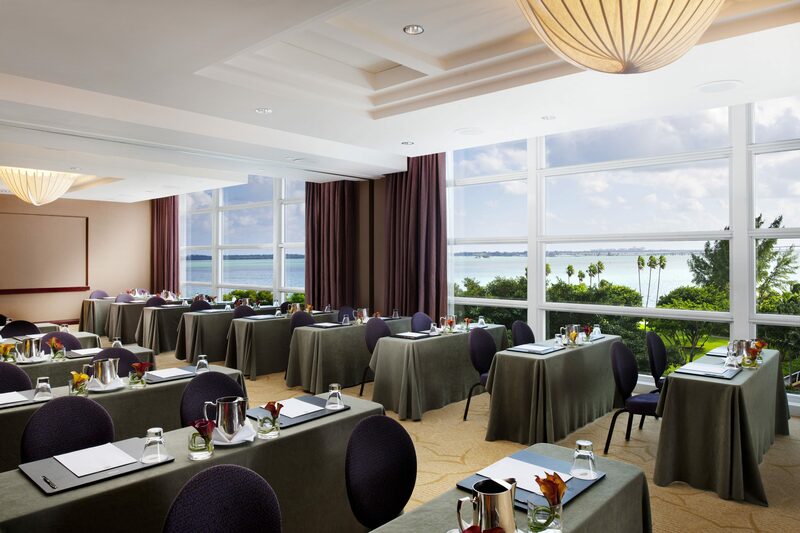 Breakfast is served daily in the hotel’s beautiful restaurant located on the ground level and overlooking Biscayne Bay and the Miami skyline. 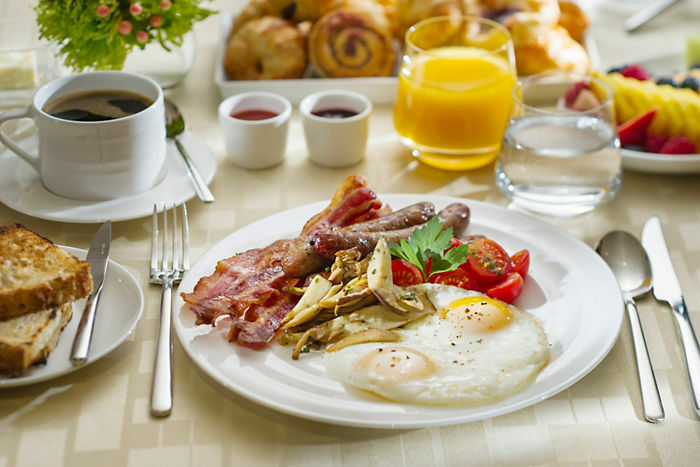 Choose from an extensive a la carte menu, continental breakfast buffet, flavorful Latin specialties and a host of healthy options. The restaurant offers indoor and outdoor seating providing stunning views with Five-Star service. 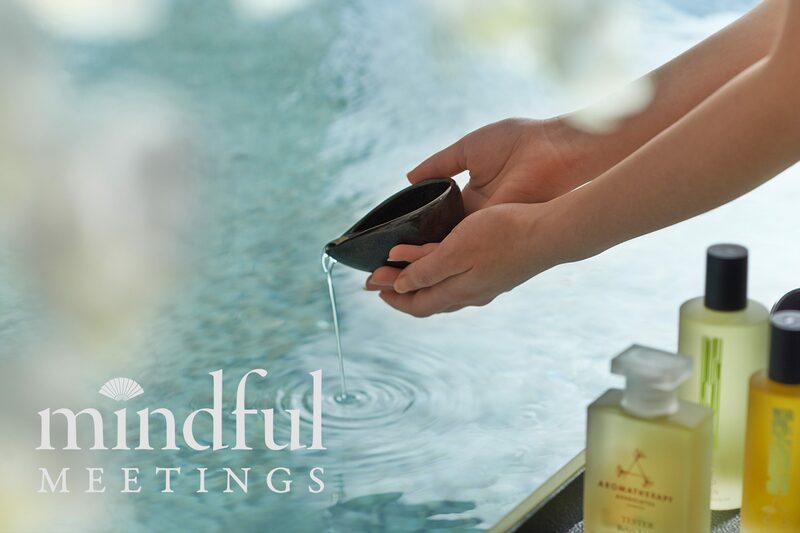 Adopting a different approach to the traditional spa experience, The Spa at Mandarin Oriental, Miami offers a series of innovative and restorative treatments inspired by the elements of life, and the ancient traditions of Chinese, Ayurvedic, European, Balinese and Thai cultures. We recommend that you arrive 45 minutes prior to the start of your appointment to fully enjoy our steam and sauna, which will loosen limbs and prepare your body for treatment. After you're settled in your private room or suite, your personal spa therapist will work with you on a completely tailor-made approach to your spa experience. After your treatment we recommend you relax for a while, taking pleasure in your new peace of mind. 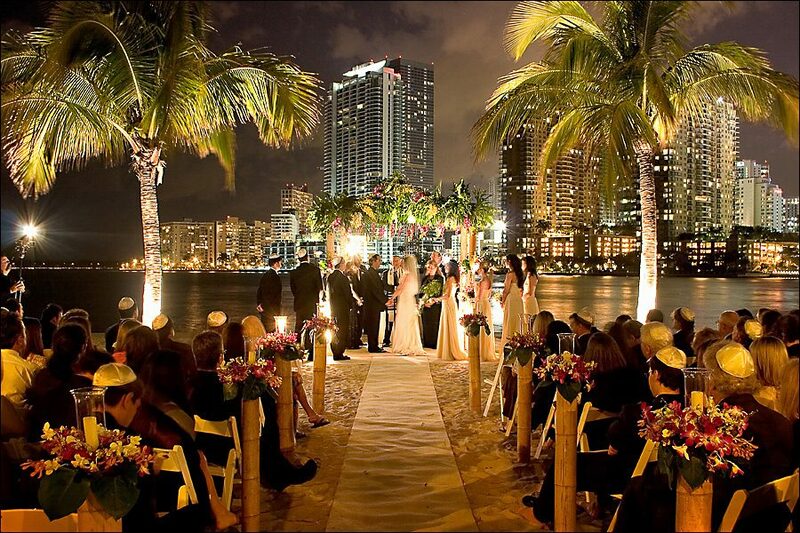 When you choose Mandarin Oriental, Miami as the setting for your wedding or event, you choose a venue with effortless style, excellent service and fabulous facilities. We are honoured to have the opportunity to be a part of your Wedding. During the planning process as well as on the day, we will tend to your every need, using our years of experience, trusted partnerships and commitment to excellence. Our wedding specialists are here to assist in all aspects of your landmark day, making the planning process as seamless and stress-free as possible. We will liaise closely with you on all details from décor to catering, making the organisation of your wedding as enjoyable as the day itself. Bridal packages We offer a range of special Bridal Packages designed to relax, rejuvenate and enhance your wedding experience. Come and celebrate with friends prior to your big day, indulge in a spa treatment before your ceremony, or enjoy some quiet time after the festivities in our Spa. Working with you, our talented culinary team will design a menu to delight your guests and perfectly compliment your event. Our sommelier can recommend the perfect beverages to accompany your menu while our highly trained pastry chef, who specialises in wedding cakes, can create something beautiful and to your exact specifications. Little details are what make a wedding truly special. We would be delighted to recommend a selection of Miami's finest floral designers, each capable of further enhancing our ballroom space. We also enjoy established relationships with some of America's top-rated event photographers. We offer a unique combination of water views, prime location and business efficiency. 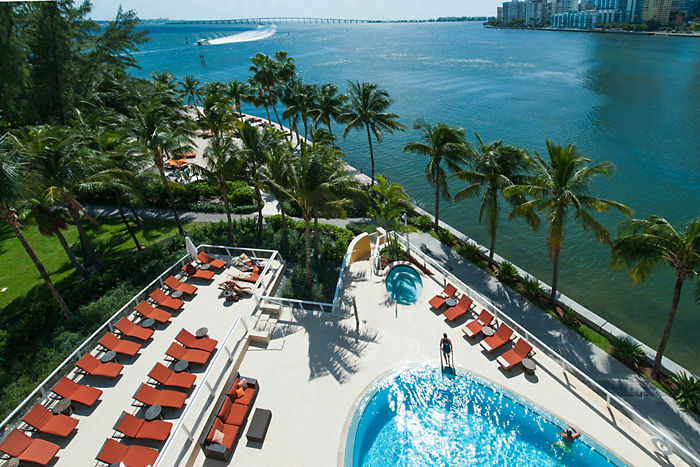 Overlooking Biscayne Bay, our venue is only minutes from Miami's financial district and the city's most popular destinations. We know how important catering is to your event. From lobster fire pits on our private beach to delicious Moroccan or Polynesian themed feasts, we guarantee that our catering is never short of inspired.